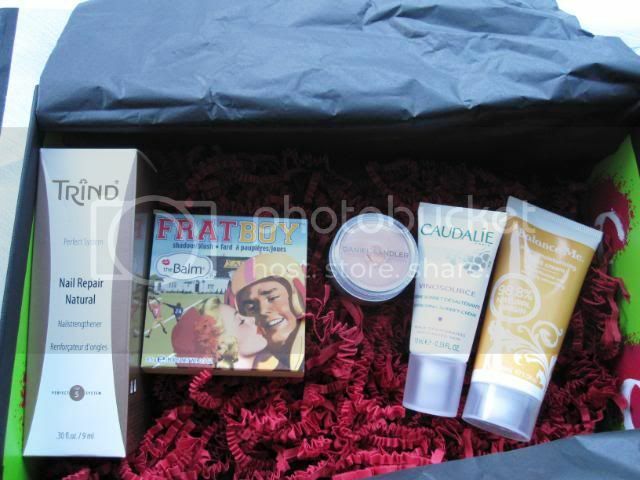 Carmine is the latest box to join the beauty subscription craze. I didn't sign up for this one straight away when bloggers started talking about it because I'm already signed up to Glossybox and Boudoir Prive. However, when I saw the contents of Carmine's first box, I decided that I had to have at least this one to try out. 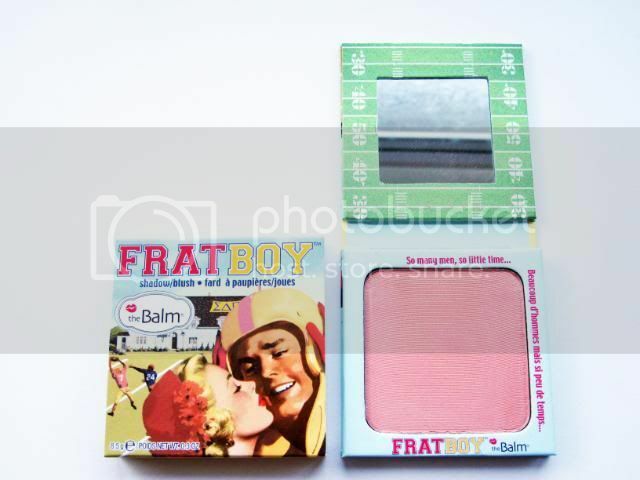 Carmine's beauty box is much longer (the size of the box itself) in comparison to GB and BP, more like a small shoebox. But it's the inside which is the most different. It's bright green! 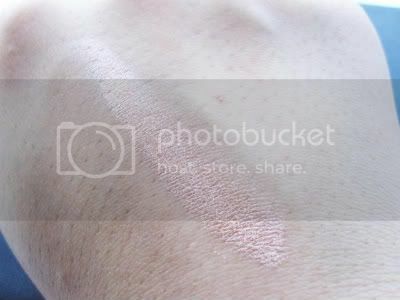 I'm not a big fan of this but I'm happy that it's not another pale pink box. Onto the contents. Three full size products and two good sized travel/handbag samples. Very impressed! The product leaflet is also the most well designed one I've seen so far from the all of the beauty boxes I've tried. 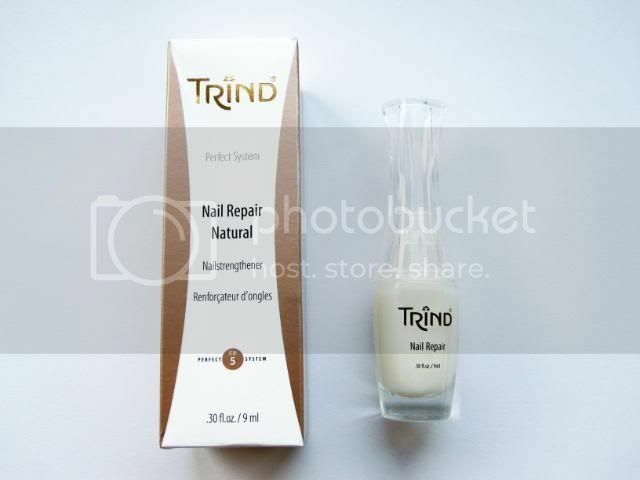 (1) Trind Nail Repair in Natural, full size 9ml (£12.95) - I'm currently using a small version of OPI's Nail Envy so I'm interested to try this out afterwards to compare the two. 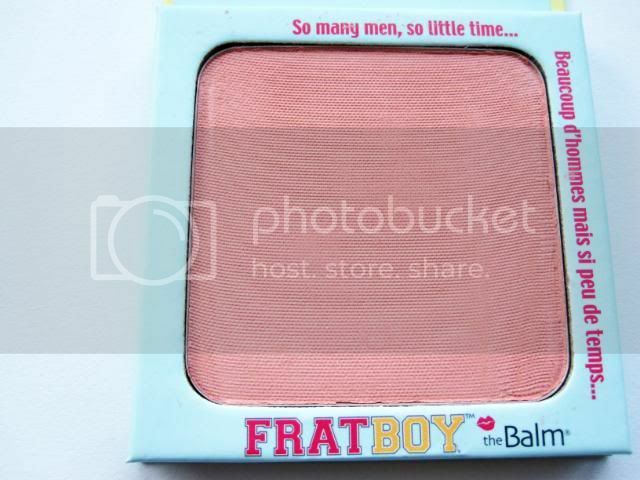 (2) The Balm All in One Shadow/Blush in Fratboy, full size 8.5g (£16.34) - "this peachy-apricot-coloured blush doubles up as an eye shadow and miraculously adds life to any skin tone." 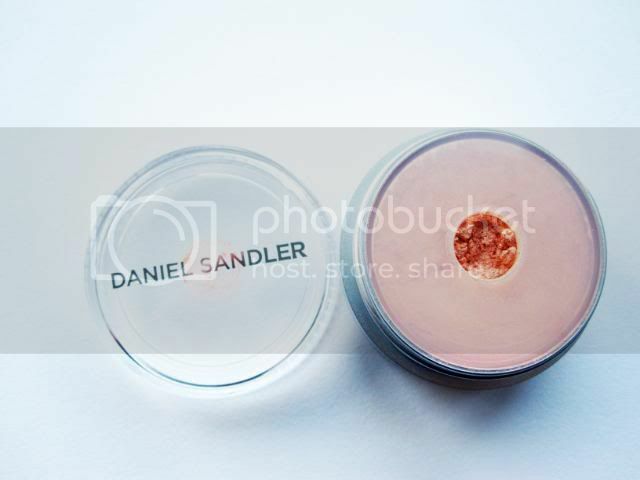 Wow, this blush is gorgeous! 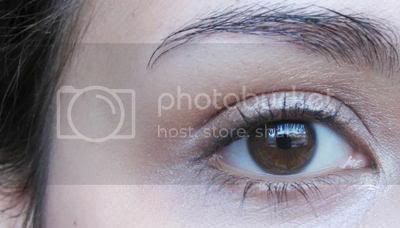 A lovely subtle shade that seems to compliment most people, I love it! This was my main reason for ordering the box and I'm so happy with it. 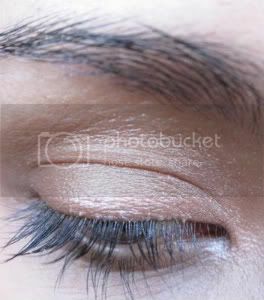 I don't think I'd use it as an eye shadow but as a blush it's just divine. (3) Balance Me Super Moisturising Hand Cream, 30ml sample (full size 100ml - £14.50) - "ultra effective and seriously smoothing, made with 98.8% ingredients of natural origin." I really like the Balance Me, they're one of my favourites new brands to come onto the eco/natural market and I'm looking forward to using this hand cream. Smells lush! (4) Caudalie Quenching Sorbet Creme, 10ml sample (full size 40ml - £20) - "naturally refresh and hydrate your skin with all the anti-oxidising powers of red grape seed." I've been wanting to try out Caudalie products, so I'm interested to see if this will work for my skin, which like most people's, gets very thirsty in winter. Smells very nice. Summary: It's rare that I like absolutely everything in a beauty box, there's usually at least one item that I give to a friend or swap for something, but this box from Carmine was perfect for me. Incredible value for money (especially as I had a half-price code for this one, yay!) and the products are all fantastic. 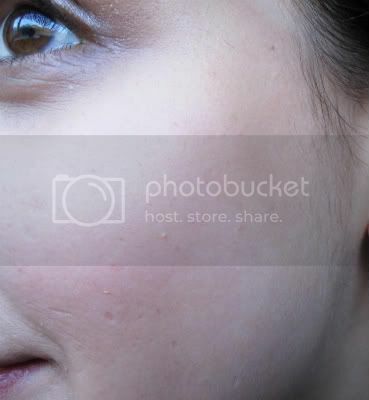 A great mix of make-up and more natural skincare, let's hope that it isn't just a one-off! Carmine has slipped under the radar a bit for me and I hadn't really heard much about it, but if the first box is anything to go by it looks like they are one of the best! Hopefully they can keep it up with the future boxes. 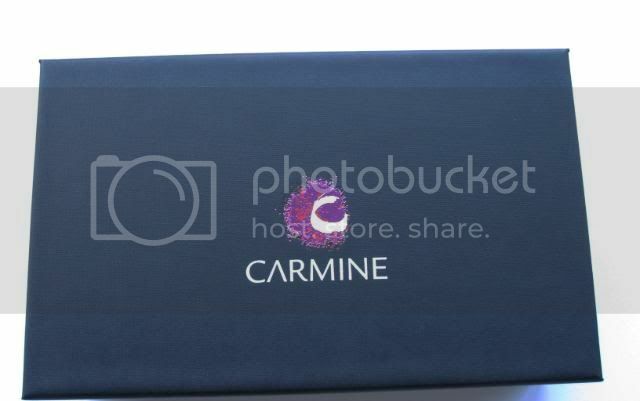 This box looks really great, starting to wish id subscribed to Carmine now!